← Thou art the Christ! A. What is Justification – the judicial act of God’s grace whereby He declares the believing sinner “not guilty.” To be declared innocent. To be acquitted. God not only forgives us of the sin and lifts the penalty from us, but He forgets the crime and sees us as though we had never committed it. 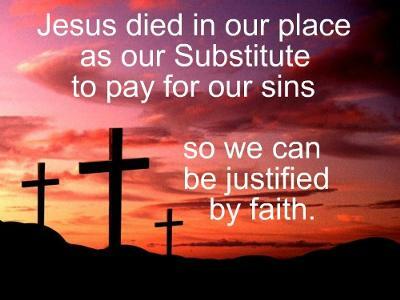 Our Preacher is always sharing this layman’s definition of Justification: “Just as if I’d never sinned.” It brings it to reality in my mind. B. 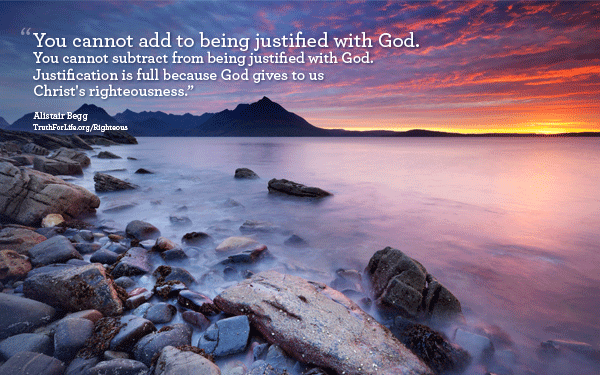 How justification works – it works by imputing (putting to another’s account) – the believer’s sin to Christ and Christ’s righteousness to the believer.